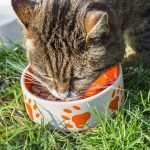 Are you feeding your pets people food for dogs? You may need to think twice before you do it again. A dog’s digestive system is nothing like our own. Our canine friends are a lot more sensitive to certain foods. Many foods will just cause an upset stomach for dogs, but there are a few foods that can be lethal to them. So, if you’re concerned about what you shouldn’t be feeding your dog, take a look at the list below. Not all nuts are toxic to dogs but it can be difficult to remember which ones are, so it’s safer to keep all nuts away from your dog. For example, pecans, walnuts, and macadamia nuts are classed as toxic dog food. 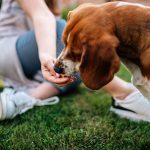 Although it may not do much damage if your dog picks up one that’s slipped out of your hand, consciously feeding your dog a few could mean you end up at an emergency vet appointment. Nuts like Cashews are safe for dogs to eat but they do have a high-fat content which can put unnecessary weight on any dog. 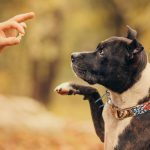 Although you may like to reward yourself with some chocolate at the end of a tough day, you certainly shouldn’t do the same for your dog. Most responsible canine owners know that chocolate is one of the toxic foods for dogs. The substance in chocolate that is toxic to dogs is called Methylxanthine. This substance can cause a variety of health problems for dogs, depending on the amount ingested. Small amounts can cause anything from sickness and diarrhea to seizures. Large amounts can cause irregular heart function and even death. Always keep chocolate out of reach of dogs. 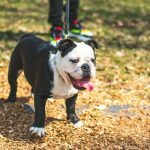 Cbd for pets could help your dog during recovery if he suffers from any of the above symptoms. Are Onions and Garlic Acceptable People Food for Dogs? For many humans, onions and garlic are fantastic accompaniments to any meal. They add strong flavors that most people enjoy, so it would be understandable for a dog owner to want their pet to enjoy the same thing. However, onions and garlic, along with leek and chives, are among some of the foods poisonous to dogs. Originating from the Allium plants, the foods can cause anemia in dogs, as well as elevated heart rates. Some dogs may even collapse after consumption and require immediate medical attention. If you’re feeding your dog scraps from your dinner, make sure there are no hidden ingredients, like onions. Dogs will automatically beg for human foods, even when they’re toxic. People food for dogs could be harming your friendly pooch, so check if your dog can eat it before automatically giving it as a treat. 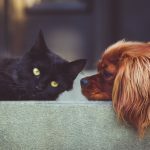 For more information on pet health and choosing the right insurance for your pet, should the worst happen, visit Cat Health Behavior and get some peace of mind.